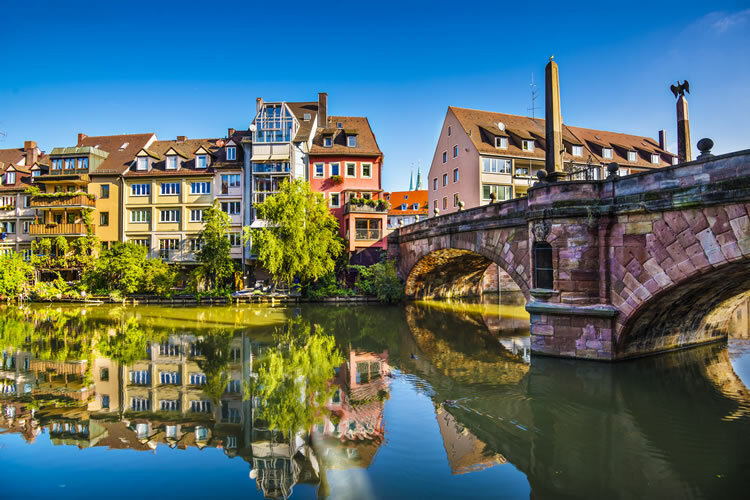 Beginning in the Bavarian city of Nuremberg, enjoy a trip through the country's military past during visits to the Nazi rally grounds, before the beautiful preserved medieval city of Regensburg. Walk Passau's picturesque cobblestone streets and marvel at the magnificent Oberhaus Fortress. In Linz, you are invited to remember the victims of the Bubonic plague of the 14th century, before Melk's Benedictine Abbey and the beautiful Wachau Valley precede classical music capital, Vienna. Arrive at Munich Airport and transfer to Nuremberg. Journey time: 90 minutes approximately. Your Captain and crew will greet you as you Emerald Waterways luxury river cruise ship. Today you will have a sightseeing coach tour of the historic city of Nuremberg. Your coach tour would pass by the 900-year-old ramparts, the Justice Palace where the War Crimes Tribunal sat in 1946, the Nazi party rally grounds, where rallies were held from 1933 until 1938 among other historical sights. Afterwards take a self-guided tour of the WWII Documentation Centre or instead enjoy free time in the city centre. Included excursion: Guided Tour of Nuremberg. This morning takes you through the final stretch of the fascinating Main–Danube Canal to Kelheim. Continue cruising along the Danube River to Regensburg, one of Germany’s best preserved medieval cities. On our guided walking tour you’ll have the chance to see one of the oldest bridges crossing the Danube and see the city’s architectural highlights including the Old Town Hall. Included excursion: Guided Tour of Regensburg. EmeraldPLUS: Traditional Bavarian Band on board. Included excursion: Guided Tour of Passau. Austria’s third largest city is situated on either side of the Danube River. Your city tour takes in the impressive “Pestsäule”, the high column built to remember the victims of the bubonic plague epidemic of the 14th century, followed by the market squares. The rest of the day is at leisure. Included excursion: Guided Tour of Linz. Included excursion: Tour of Melk Abbey. EmeraldACTIVE: A guided hike to Durnstein Castle. Welcome to Vienna, the capital of classical music. Today you have a choice of either exploring Austria’s capital beginning with a drive along the magnificent Ringstrasse, where we will see Vienna’s world famous Opera House, Burgtheatre, Spanish Riding School, Town Hall, St. Stephen’s Cathedral and the Hofburg Imperial Palace. If you feel active, join the guided bike tour instead of the drive around and guided walk. Return economy flights from up to 16 UK airports, subject to availability. Terms and conditions apply, all offers are subject to availability and operator booking conditions. All savings are included in the fares shown and were correct at time of print, but are subject to change and are valid on new bookings only. 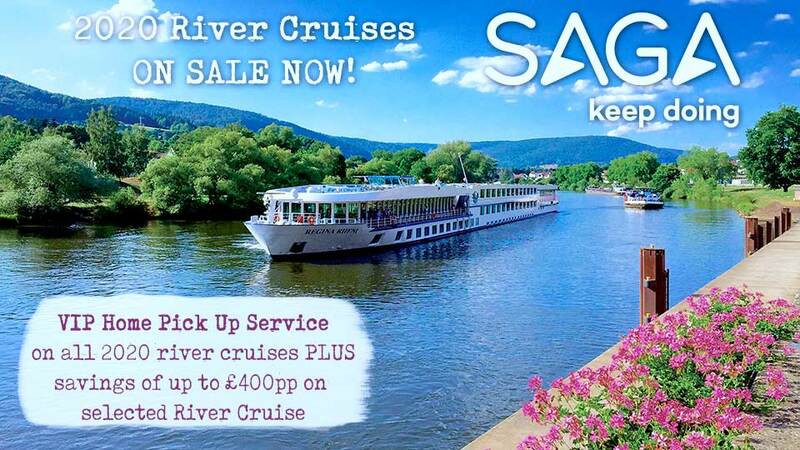 Fares are per person based on 2 people sharing the lead in grade stateroom unless otherwise stated. 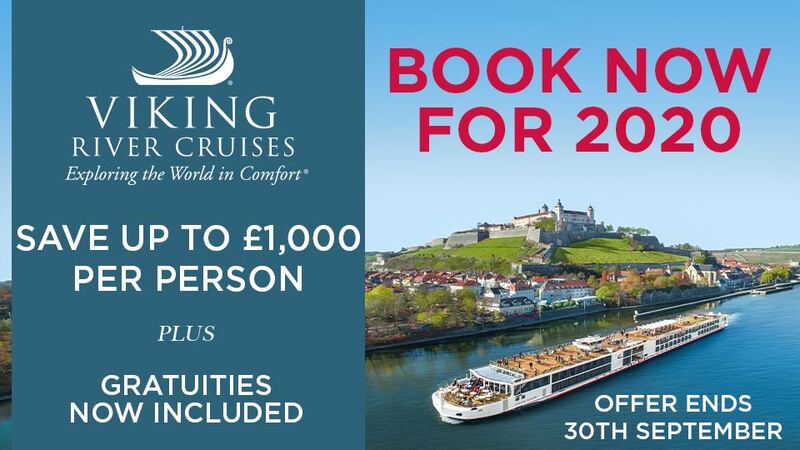 Savings of up to £1,000 per person, Unlimited free drinks and €200 per cabin on board spend are valid on new bookings only, made by 30th April 2019. Free drinks are based on a free premium drinks package and excludes Champagne, wine by the bottle and cabin mini-bar. €200 per cabin on board spend will be deducted from your final bill upon departure. Choose either a premium drinks package or €200 per cabin on board spend per booking. We reserve the right to withdraw our offers at any time. ^Itinerary operates in reverse. We charge a one-off small £20 booking fee. That’s it - nothing more and no add ons when you pay the balance. E&OE. ABTA P6710.